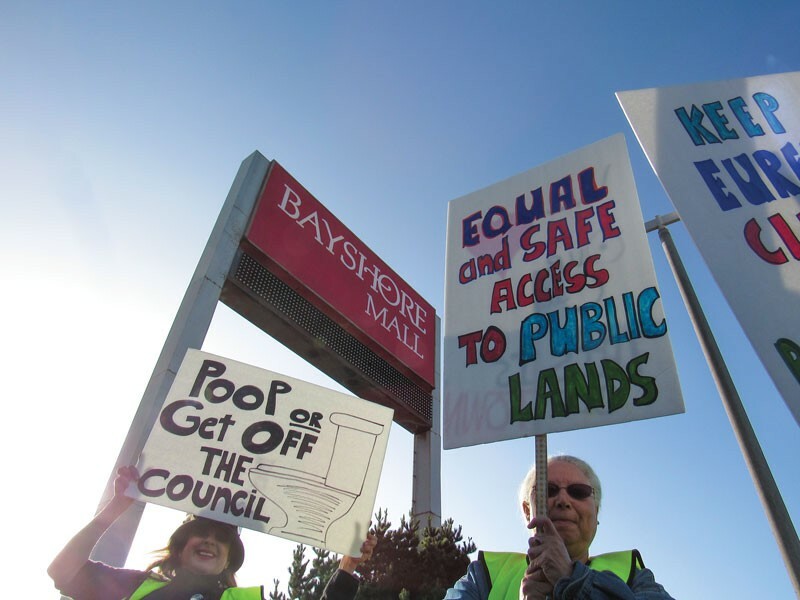 Jeannie Breslin (left) joins protesters at a Sept. 21 2015 anti-crime rally. 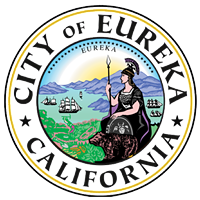 After nearly two hours of discussion, debate and public comment, the Eureka City Council passed an ordinance Tuesday night codifying best practices around syringe exchange programs within city limits. The unanimous decision was met with some grumbling from a rowdy crowd, which filled the council chambers and delivered many strong opinions during public comment. Loose needles in public areas have become a flashpoint for public debate in recent months, with several citizen groups placing blame for the hazardous waste on needle exchange programs such as the Humboldt Area Center for Harm Reduction. The syringe management ordinance, introduced by Eureka City Manager Greg Sparks, came out of six months of stakeholder meetings and research by city staff. Sparks reported that it was the first of its kind in California, staff having found no good examples in other counties. The ordinance calls for syringe exchange programs to report back to city staff with data on the numbers of syringes given out and referrals made, and participate in weekly cleanups. While some citizens have advocated for a one-to-one exchange of needles, Sparks said research does not support this method. "In developing the ordinance, we came back to the California Department of Public Health," said Sparks, adding that CDPH recommends a "needs based" model of syringe exchange rather than a 1-1 exchange. The ordinance opens with language reiterating the city's commitment to harm reduction as an effective method of addressing the spread of infectious disease such as hepatitis, which is often transmitted by sharing needles. Councilmember Bergel, acting as mayor pro-tem due to Mayor Frank Jager's absence, asked for clarification as to whether or not the state explicitly prohibited 1-1 exchanges; Sparks said it did not but did not recommended the model. Bergel also wanted to know if the ordinance's prohibition against syringe exchange programs operating within 1,000 feet of schools could also apply to local parks. Sparks said it could be added to the motion, but noted that the city had no authority to regulate county programs that also gave out needles. The ordinance, as written, will apply almost exclusively to HACHR and other future nongovernmental syringe exchange programs operating within the city. Of those who criticized the needle exchange program, many cited public safety. One grandmother said she no longer feels safe taking her granddaughter to local parks or the library, and didn't want to explain to the 3 year old whether people passed out on the grass were alive or dead. But others in support of syringe exchange programs cited the importance of helping addicts remain healthy and access services. HACHR, they said, has created a supportive community for people who are stigmatized and ostracized. One man whose wife died of a fentanyl overdose, leaving behind a 12-year-old daughter, emphasized the need to embrace the science and medical evidence behind harm reduction. "It's important to remember these are humans," he said. Among the most vocal opponents of the ordinance was Jeannie Breslin, an anti-crime advocate and current candidate for the city council's Third Ward, where she faces fellow challenger John Fullerton and incumbent Natalie Arroyo, who currently represents in the Fourth Ward but whose house now sits in the newly redistricted boundaries of the Third. Despite warnings from the dais that clapping would not be allowed, Breslin continued a running commentary from the back of the room, punctuated by short smatters of applause as public comment continued. As a HACHR volunteer spoke of the amount of waste the group had cleaned up and exhorted the council to remember that drug addicts are human beings, Breslin could be heard whispering loudly, "They're also thieves." Breslin also confronted Kim Starr, also known as Verbena Lee, a founding member of the Peoples' Action for Rights and Community. After Breslin said her own piece at the mic, Starr said loudly, "You don't speak for me." Breslin stopped in the aisle on the way back to her seat at the back of the room and, clutching a wooden staff, leaned toward Starr and said, "You lost your radio show, didn't you? Do you miss it?" The voices of Breslin and several other people, seated in the back of the room, grew louder as it became apparent the council was going to vote in favor of the ordinance. Councilmembers Marian Brady and Heidi Messner originally seemed inclined to table the ordinance pending further research, and Councilmember Austin Allison wanted to add some language that may have changed HACHR policy but, with Sparks' input, the council ultimately decided that further regulation could always be added. Arroyo stressed the need for data collection to begin, a key component of the ordinance. Brady said it didn't seem like the ordinance would do any harm. "If it doesn't do anything, it doesn't do anything. So we have an ordinance that doesn't do anything," Brady said. "So let's vote." "Are you kidding me?" Breslin hissed from the back row. "Useless, useless," said several of the women sitting next to her. Once the vote was held, roughly two thirds of the audience left the room. One man said loudly, "You've signed the death knell to downtown Eureka." The council also passed several consent calendar items passed without discussion, including approval of a bid to renovate the Lundbar Hills pump station and authorized Community Services staff to pursue several grants to improve local parks. The council also discussed the necessity to amend the city's 2017-2018 budget, including the allocation of $75,000 for a new Associate Planner position dedicated exclusively to cannabis. 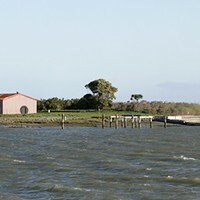 According to the agenda summary, the city's Development Services staff has been swamped since the advent of legalized cannabis, with the complex process of coordinating with police, fire, building and code enforcement departments, as well as managing conditional use and coastal development permits that are tying up staff and "significantly impact[ing] the department’s ability to complete other required duties." Staff projected that the money generated from the cannabis permitting process would easily generate enough revenue to cover a new position. 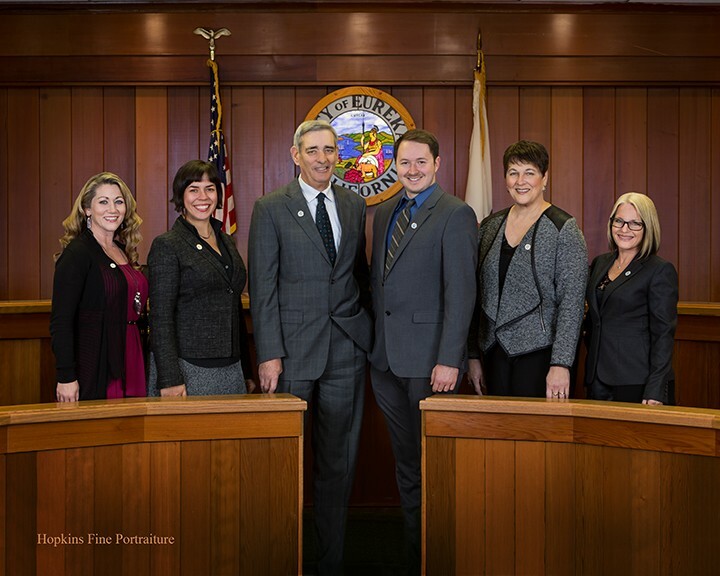 The council also voted unanimously to invite two new cannabis businesses to pursue permitting within the city, the Humboldt Patient Resource Center, which currently operates an Arcata dispensary, and Humboldt MOCA, both of which would be located on Fourth Street. Does social media help or hinder public safety?